It seems it is finally happening. The discipline of website management is at last getting some attention. The realization has dawned that if the trajectory of ever improving online experience is to be maintained, a better approach to operations is needed. And not just for aesthetic reasons. The real motivator is competitive advantage. 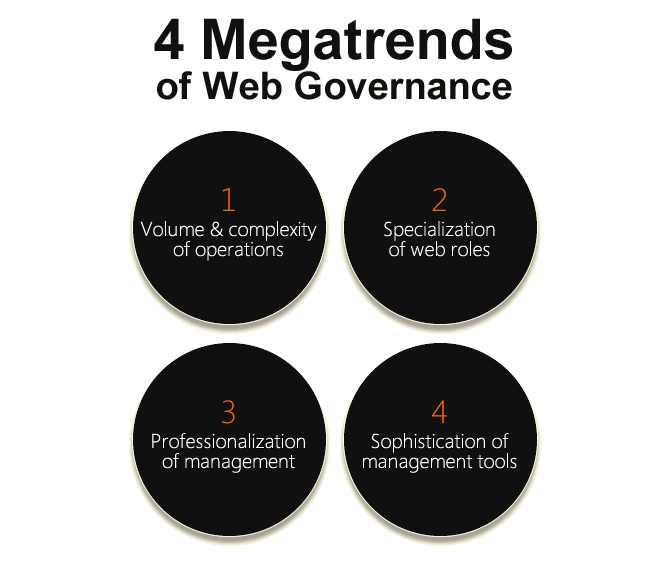 See how these Megatrends affect you - and find out how to react - in my new article "The 4 Megatrends of Web Governance".